Back Row (L to R): T. Hogan, L. Enright, J. McGrath, J. Moylan, E. Moore, T. Hackett (background), G. McCarthy, T. Cunningham, M. Lewis. Front Row (L to R): M. Woods, D. Barry, T. Mansfield, M. Kiely, J. Hogan, J. Walsh, M. Phelan. 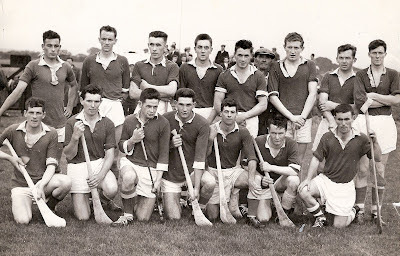 To celebrate next Saturday's Senior Hurling Championship clash between Abbeyside and Dungarvan, the first at this grade for 33 years, this week's photo shows a Village / Old Boro XV that took on a visiting New York Waterford team at Fraher Field in August 1962. The local combination saw off the exiles on a scoreline of 4-11 to 3-3. We played Kilrossanty on Saturday Morning in Lemybrien in the final round of the under 14 football Div 3. This was a very exciting match and we played well through out. We were leading with 2 mins to go however Kilrossanty got a goal and won by a point. This was great experience for this team and can take the learning into the semi Final against St Olivers Wednesday evening. Panel: Meldan Dwyer, Jamie Walsh, Tommy Walsh, Paul Wade, Michael O’Riordan, Robert Organ, James Riordan, Daithi Brunnock, Fionn Gibson Kiely, Larry Brazil, Shane Kiely, Sean Kent, Conor Foley. Monday 14th - U14 Western Hurling against Cois Bhrid. Wednesday 16th - U14 Football Semi Finals at home to Ardmore, away to St Oilver's. Saturday 19th - U13 Western Final against Brickey’s. We travelled to our near neighbours last Friday evening to play Dungarvan in under 12 Hurling. Our lads played very well and were all ways in control and won well. Our second team travelled to play Fourmilewater in Div 3 and also played very well and recorded a good win. Panel: Jamie Walsh, James Riordan, Shane Kiely, Ruiri Cusack, Sean Kent, Meldan Dwyer, Jake O’Riordan, Daithi Brunnock, Fergal Roche, Johnny Treen. Panel: Eoin Ahearne, Jamie Power, Cian O’Riordan, Sean Roche, David Roche, David Hayes, Senan Travers, Michael Kiely, Michael Troy, David Shields. Our under 8's travelled to Carriganore on Saturday 12th last to compete against the finest our county had to offer. We travelled with a squad of 15 players available on the day to make up two teams and both teams representing their club in true sporting fashion as usual giving it their all for the jersey. A fun filled mornings hurling was had by all. Thanks again to all the parents who travelled on the day being a continuous source of support to this young budding squad. A special mention goes out to Oisin Brazil for his performance scoring no less than 6 net busters on the day. If there was a most improved player award on offer it would have to go Oisin for his efforts in training of recent weeks which evidently stood to him on saturday. Keep it going Oisin and well done to all who took part on the day. A special promotion token is available of €5 on Cornflakes and Rice Krispies boxes to receive an online discount; 1 token per child can be used. 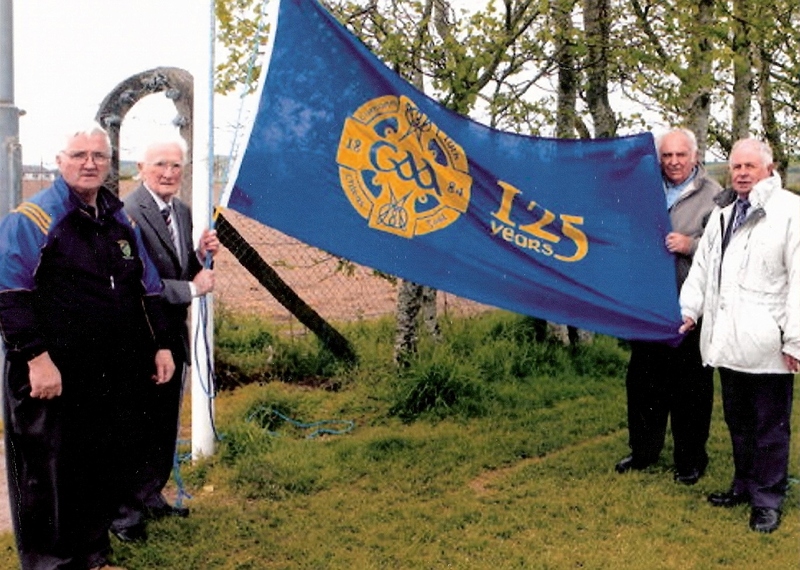 The annual camp takes place in our club from the 2nd – 6th July this year more details can be got from Carmel on 0872598923. Training continues every Tuesday evening from 6.30 to 7.30 for U12's, training continues for all age groups on a Friday evening from 6.30 to 7.30. New members always welcome. On Saturday morning last we hosted an U12 Blitz. On the morning the Brickey Rangers and Ballyduff Upper came for games. A great morning was had by all involved. Well done to our girls Veronica Power, Amy Kennedy, Katelyn O'Brien Landy, Ellen Regan, Sarah Wright, Ciara Keane, Mairead Maye, Sasha Landy, Sinead Kirwan, Laura Cosgrave, Hannah Walsh, Becky Lawrence and Catherine Ruane. If any parents would like to get involved in helping with the running of the Club please let us know. Numbers are growing every week so don’t be afraid to come forward.